You are here: Home / ADHD News & Research / Hey CDC! Why Misinform On ADHD? If you’ve missed the headlines, here’s a quick summary: The U.S. Centers for Disease Control (CDC) has been promoting therapy before medication for young children with ADHD. Sounds reasonable, eh? Except it’s not. I’m asking you to please empty your mind of what you think you know on this topic and consider the actual facts. A guest post below from Russell Barkley, PhD, explains the details and I follow with my comment to a Medscape report. But first, some tidbits of overview. This therapy isn’t for the children, it’s for the parents. And it’s not a therapy that educates parents on ADHD and implementing ADHD-targeted strategies. It’s a very specific type of parent-training therapy, one that assumes the children are displaying disruptive behavior related to oppositional-defiance, not ADHD. The existing research indicating that parental training of any type isn’t likely to “take” when the parents themselves have undiagnosed or poorly managed ADHD. …that the type of therapy it is mandating actually works for children who have ADHD but without the complications of being oppositional or defiant. Moreover, there is evidence showing it does not work. Dr. Barkley details this below. Here’s one from the Washington Post (historically the best paper when it comes to accurate reportage on ADHD): CDC warns that Americans may be overmedicating youngest children with ADHD. It’s an accurate headline. The paper is not claiming the statement to be true. Rather, it simply attributes the statement to the CDC. Still, that’s not enough. 5. Many children with ADHD also suffer from illnesses such as spina bifida. 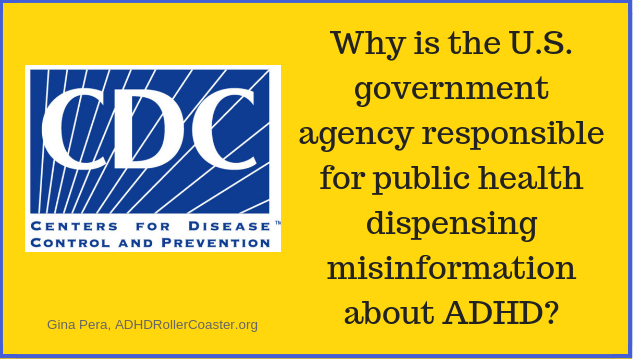 The CDC has previously sabotaged the public’s accurate understanding of ADHD, especially in young children. 7. Could it be the CDC has an unhealthy agenda? Does the CDC have a political, or perhaps ideological, motive here? One hates to think so. We like to think that our government’s approach to science is “hands off” — the truth and the truth alone. Unfortunately, there are intense and nefarious pressures on our government institutions. We’d best all keep our eyes open. I will never forget Sen. Chuck Grassley’s campaign (furthered by The New York Times sports reporter, Alan Schwarz) targeting psychiatric researchers. Especially those researching ADHD and bipolar disorder. I have not written about it in full because, well, because it’s so damn scary: FBI agents turning up at these researchers’ offices, demanding lab notes from 20 years ago, making highly respected and cited researchers a pariah. I’ve spoken with these scientists: their stories are chilling—and not reported. Why, for example, was I the only person pointing out Grassley’s third-biggest campaign donor, Blue Cross-Blue Shield, and investing a potential quid pro quo between that support and denying insurance coverage of these medications for ADHD and bipolar disorder? Why didn’t The New York Times and other news outlets question any ulterior motives here? On any other political matter involving Republican Grassley, the paper would be on him like white on rice. Anyone reading this article in Canady-2016-Mental Health Weekly, based on a report from and interviews with CDC officials, might draw this conclusion: Behavioral parent training (BPT) is as effective as medication for management of young children with ADHD. Sadly, this simply is not true. But it is yet another example of the CDC speaking to the press about their findings and implications without doing more careful scholarship or talking with those of us who do know the science on ADHD and its management. First, understand that BPT was designed for and is most effective with helping parents manage oppositional, defiant, and noncompliant behavior in children. It was not designed for—nor is it very effective in managing—the symptoms of ADHD specifically (inattention, impulsivity, hyperactivity, and executive function deficits). Every meta-analysis of BPT for ADHD has found this to be the case, including the one in 2013 by Ed Sonuga-Barke and colleagues (Evidence-Based Psychosocial Treatment for Children and Adolescents with ADHD). No major researcher working in ADHD, including myself, has ever claimed that BPT is effective for ADHD itself. 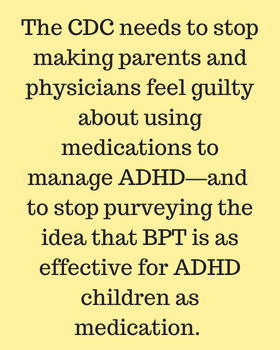 Furthermore, we have known since the 1980s that BPT is not very helpful for ADHD symptom management. BPT is based on social-learning theory and the idea that much of child misbehavior is the result of faulty learning and disrupted parenting. This type of therapy targets compliance and cooperation, not inattention and impulsivity. Now, there is some truth to the involvement of parenting in the genesis and maintenance of oppositional, defiant, and noncompliant behavior in children. But there is no truth that parenting plays a similar role in ADHD. Thus, from both a theoretical and practical viewpoint, BPT would not be expected to manage ADHD symptoms very well if at all. What studies find with BPT is that parenting behavior improves but child symptoms improve very little; and when symptoms do improve, this improvement is not maintained after treatment (see here:http://www.sciencedirect.com/…/article/pii/S0891422212001278). My own parent training books on Defiant Children make this point specifically in their introductory chapters. BPT is for ODD, not so much for ADHD symptoms. The CDC should certainly have known this, given the findings of the Preschool ADHD Treatment Study (PATS)—a study conducted 10 years ago to assess the safety and effectiveness of stimulant medication for preschoolers with ADHD. This is the largest study ever done on this issue. The study required that all children and their parents receive BPT before entering the medication trial. This is also precisely what the CDC is arguing for in the Health Weekly and other articles. In the study, the BPT was required so that only those whose ADHD symptoms did not respond to BPT could then get medication. What did researchers find? At least 55% of the preschool children still had to enter the medication trial because BPT didn’t help them much, if at all. That is false! To state this is to show you do not know the actual literature on BPT for ADHD in children. It also shows that Schuchat neither read the PATS study nor looked across the available reviews of the literature. The degree of improvement from BPT on ADHD symptoms is far below that seen in studies of medication. And even those effects of BPT on children are not sustained over time very well. This is the crux of the problem: Requiring that all young children undergo BPT first before being prescribed medication is to require that a less effective therapy be initiated before a more effective therapy (medication) is provided. Such statements from the CDC also lead one to believe that BPT is widely available in the U.S. when it is not. This statement on the CDC website contradicts published research. It is no surprise that physicians are treating more young children with ADHD with medication than are getting BPT, as the CDC found. These physicians are leading with their most effective therapies first. The CDC needs to stop making parents and physicians feel guilty about using medications to manage ADHD—and the CDC should certainly stop purveying the idea that BPT is as effective for ADHD children as medication. It just isn’t so. Yes, parents should be encouraged to get BPT, especially if their child has oppositional defiant disorder, which many do. But don’t promise them that BPT will be as effective as medication because it won’t be. Tell them BPT is for reducing family conflict. Other interventions will need to specifically target the ADHD and EF symptoms, medication among them. 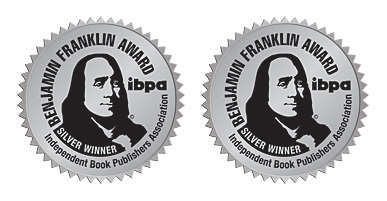 —End of Dr. Barkley’s commentary. I keep trying to figure out the CDC’s angle on ADHD. Many children with ADHD are not disruptive; they are disrupted—by their ADHD symptoms. 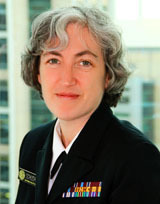 Science and medical journalists should be asking more questions of the CDC. For example, what data-collection methods did the CDC use to support this conclusion (that more behavioral therapy should be taking place). To emphasize: The parents, not the children, receive behavioral therapy. Examine the various headlines associated with this story (originating with the CDC’s PR office). Count how many times this is made clear. Hardly ever. Instead, the implication is that therapy is as important, if not more important, as medication for children with ADHD—as if therapy for the children would result in any improvement in their ADHD symptoms. Alas, “knowing better” does not mitigate brain-based distractibility, impulsivity, failure to consider consequences, and all the rest of ADHD symptomatology. At any rate, guess what? Finally, I’m not sure why alleged medical experts find it so hard to understand how a brain-based condition affecting dopamine transport and transmission could have adverse physical effects throughout the body, including with neurospatial coordination, hearing, vision, and even the ability to write legibly. Ahem, dopamine controls many aspects of physiology. We should be asking the CDC how it went about excluding from its dataset young patients receiving medication for ADHD who also have neural-tube defects, such as spina bifida. Or did the CDC exclude them? I’m betting not, as I alluded to in my counter to the New York Times “10,000 Toddlers” screed: The Truth Behind The 10,000 Toddlers Medicated for ADHD. My suspicion—and I hope I’m wrong: The CDC is attempting to deal with the political backlash created by that and other articles written by the Times‘ grandstanding sports reporter, Alan Schwarz. For the “10,000 Toddlers” story, he had sneaked in unannounced to a CDC presentation sponsored by the Carter Center in Georgia. (Ethical journalists never do that; it is an absolutely sleazy tactic.) Then, without benefit of neuroscience or any type of research expertise, he crunched the data and presented it to the public as fact. How can there not be a connection between that and this latest dictum from the CDC? Overall, there seems to be something fishy going on at the CDC vis a vis ADHD. Health journalists along with medical experts should be making inquiries instead of unquestioningly running press releases. The lives and health of millions of people with ADHD in the U.S. hang in the balance. I’m going to trot out my old example. At age 10, I started having seizures. Thank goodness they were grand mal (fall down, flail about) seizures rather than petit mal, which can appear to be distraction or odd behavior. One EEG and onto Dilantin I went. I’m still on it. Haven’t had a seizure in 20 years, but I’m still an epileptic. No doctor ever suggested that therapy might help me stop having seizures. Why the stigma with helping children with ADHD? It’s horrible. Perhaps, as you suggest, it’s that the better-known behaviors associated with ADHD don’t look like “medical” problems (as would be clear in a grand mal seizure vs a petit mal) but instead they look like “bratty” behaviors. The result of bad parenting. I expect the CDC to educate on the complexity, though, not to dumb-down to simplistic perceptions. Its funny you say this, My dad is a dentist, (I know its not the same but i just relate it as such) If i came in needing a root canal or had gum disease, he could I guess talk to me all day, but unless he does something physically to the mouth (like surgery or medicine if infected, ect) nothing would get fixed. I dont understand how talking would be a treatment for anything to be honest…. if it is a physical and/or genetic disorder? Maybe Im wrong, it just seems like all diseases are treated with medicine or surgery, There must be more to talk therapy or whatever than I understand. Yes, the irony doesn’t escape us. Especially the millions of adults who pursued talk-therapy for years, without any therapist (including psychologists or psychiatrists) mentioning ADHD. This CDC issue gets very, very mixed up, and I’ve yet to get to the bottom of it. I suspect there are political motivations involved somehow. Here’s the thing: Some parents don’t know how to parent. They spoil their children, don’t make sure they get sufficient sleep, feed them poorly, etc. We know this. So, it’s reasonable to think that, instead of a child having ADHD, they truly are suffering from bad parenting. Moreover, if a parent doesn’t know a child is struggling with ADHD — what that actually means in practical terms– they will do all the wrong things. They will scold, punish, attempt coercion — all of which will backfire. 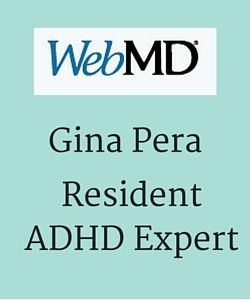 So, definitely, before any child is given medication, parents AND child must be educated (at different levels) on the nature of ADHD, as well as the organizational and time-management strategies that can help. But that’s not what the CDC is doing here, as detailed in the piece. Furthermore, for the CDC to claim that this mysterious “therapy” they refer to is better than medication….that’s outright fraudulent. Period. And that’s the thing. They never define exactly what is entailed in this therapy. Thus, the public is left with the impression that the CHILD is getting therapy, reinforcing the myth that therapy treats ADHD. It’s absolutely nuts, imho, that the CDC is mimicking the anti-psychiatry wingnuts in its disinformation and myth-mongering. Therapy, my arse. ADHD is a biomedical condition, with far-reaching and complex physiological effects for many of the people who have it. 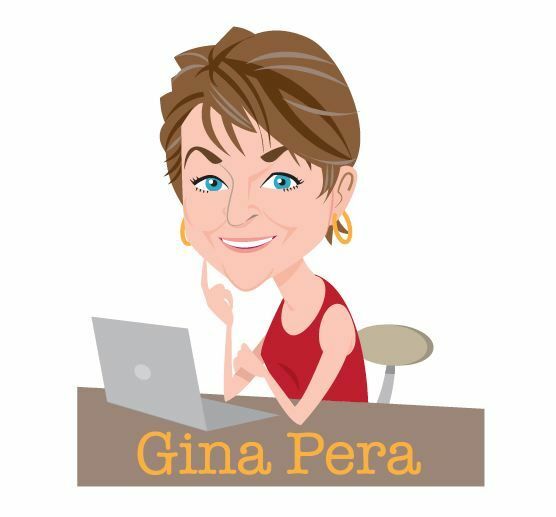 Thank you so much for this post, Gina. I’m thrilled Dr. Barkley weighed in on this topic and responded. I was really brought down and a little surprised when I saw the article from the CDC posted on the CHADD website as a link. I believe in a balance of perspectives when reporting, but only if it’s based on high quality scientific merit and fairly reported with as little bias as possible. I really needed the support that my continued advocacy in the area where I live is still well warrented and worth my time. The only way that any type of therapy works is if the individuals involved are aware it’s happening, have consented, and are part of the process and actively engaged in the therapy and have support finding tools that work for them. If one parent is willing to participate and the other isn’t or constantly sabotages the process or the therapist has a bias against a parent with ADHD or doesn’t follow practice guidelines for ADHD treatment and management, then therapy won’t work. 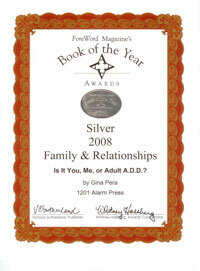 Additionally, if the therapist or non-ADHD spouse tries to employ behavior methods designed for children or thinks that controlling an adult with ADHD using a compliance plan has positive results or thinks the ADHD parent is a child incapable of doing anything-that doesn’t move things forward either and most often will make things worse. Plus, that thinking is often not the case. 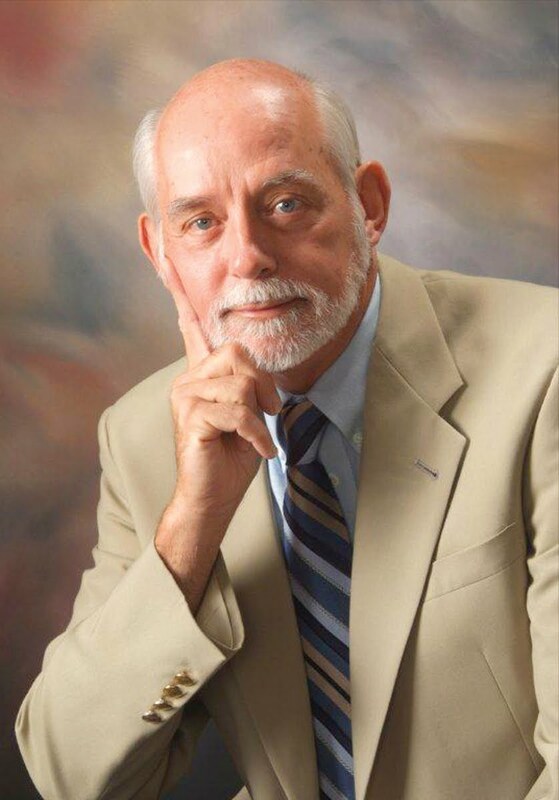 Perhaps the non-ADHD spouse, administrator, teacher or therapist isn’t using best practices or doing their part in the relationship by educating themselves based on reliable sources or is a poor communicator? I think it would be helpful if experts in the field clearly defined what “well controlled ADHD symptoms” in children, teens and adults looks like, so non-ADHD spouses/parents know what to expect. We know what the symptoms look like, but if medication and/or therapy are working: what does that look like in real life across settings? 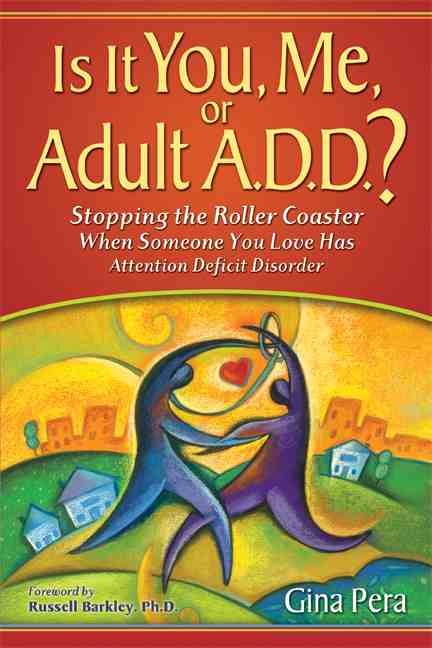 I doubt it would involve shame, belittlement, and stranding the person with ADHD to correct themselves. Thanks for your comment, and I’m glad you found the piece helpful. Just to be clear: No type of therapy will mitigate ADHD’s core symptoms. Education. Structure. Supportive strategies. These can help people of all ages with ADHD. But they will not have the impact of medication on the neurophysiological symptoms of ADHD. People with ADHD are individuals, with many facets to their personality apart from their experience of this variable condition called ADHD. So, there will never be “cookie cutter” answers. 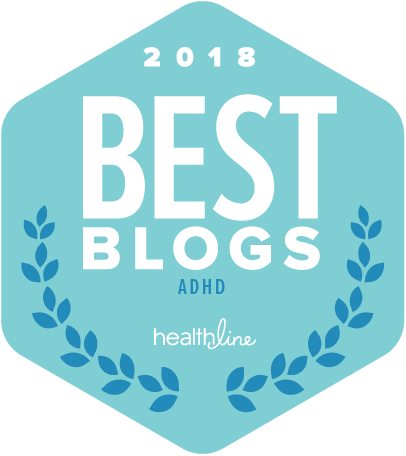 The important thing is for each person with ADHD to identify specific ADHD-related challenges and use them as a metric to gauge whether or not treatment is working. Medication will help a great many challenges, but other environmental strategies will be helpful, as well, such as establishing routines, using a planner, etc. I am so relieved you addressed this, and got Russ Barkley involved! I wonder what’s driving this, and what needs to happen to turn it around. It’s like telling a child with vision problems they are going to have to sit in time out if they can’t read their assignment, before finally being prescribed glasses. I was just talking with my husband…what medical comparisons can be made? Would the CDC tell the parents of children with vision impairments to clear a path through the house instead of getting eyeglasses for the child? The irony, of course, is the adults with late-diagnosis ADHD often spent years in therapy, to little avail, before being diagnosed and gaining the benefits of medication. It’s appalling to me that there is still the misunderstanding that AD/HD is a behavior problem, and not a brain problem. No wonder the ignorant talk about medication like it’s some kind of chemical straightjacket. The idea isn’t to improve behavior, per se; it’s to improve function. What they mean by “behavior” is all the stuff other people fund annoying about people who have AD/HD. If we could just look at it from the perspective of those people who have and endure AD/HD, we might realize that it’s for *their* well being that treatment is given. Oh I could go on and on, but this is so maddening. But the CDC makes grave mistakes about other health and medical problems, too, so it shouldn’t be a surprise. Thanks for your comments. I was trying to think of another example of a medical condition where the CDC is ACTIVELY mangling the science and evidence. I couldn’t think of one.